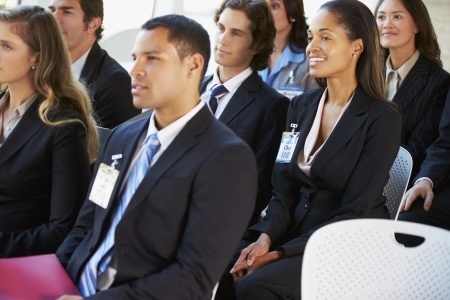 Want to maximize your ability to persuade, influence, and motivate audiences? Here's how to improve your voice for public speaking to achieve career success. When it comes to persuading, motivating, and activating audiences, you own one performance tool that's more important than all the others. 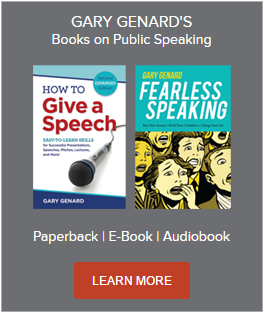 Looking for public speaking techniques to enrich your relationship with listeners and make what you say unforgettable? Download my free cheat sheet, "5 Ways to Captivate an Audience." 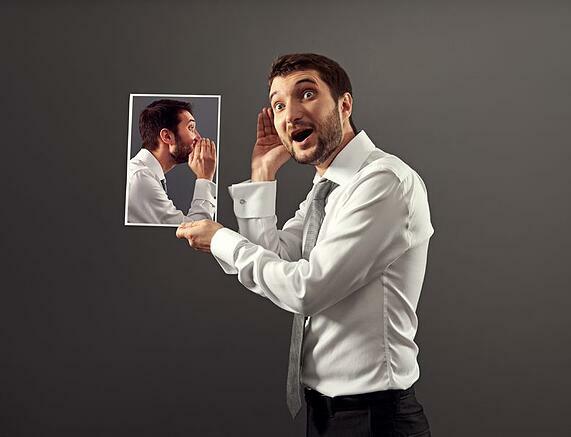 Again and again in my public speaking coaching and training for professionals, I find myself explaining the vital role the voice plays in influencing listeners. It’s an indictment of our educational system that all of us don’t understand this from an early age. Whatever the reasons we may be lagging behind, we need to get up to speed when it comes to using our voices productively for speaking in public. Without good vocal knowledge and skills, our speeches and presentations will always be a pale version of what they could be. In fact, it’s hardly possible to make our listeners feel the power of what we’re saying without employing a strong vocal technique. Let’s look at three ways you can use this uniquely human tool to humanize your message so it resonates with audiences and makes your presentations sing. We can call this our three "e" tactics for improving the voice. Among its other attributes, the human voice depends strongly upon physics to literally allow your message to be heard. That is, the voice is inherently physical. You use this fact to make yourself audible to listeners, of course. Doing so depends upon a fairly simple formula of generating enough breath support to project your voice across space. Here’s some key information you should know on how to use your diaphragm to create a strong voice for public speaking. But more than this basic rule of being heard, you need to encompass your listeners with your spoken sound. Think of it this way: audience members should feel as though you're standing next to them with a friendly hand across their shoulder as you talk to them. It's intimate, you see. And the larger the space you’re speaking in, the more important it is to try to achieve this effect. A simple visualization can help you do so: Imagine an invisible bubble that encloses you and the people who are farthest away from you. Everyone in between is encompassed by the bubble as well. Now fill that bubble with your spoken voice. Everyone will not only hear you; they'll have the sense that you’re speaking to them individually. Contrast this with the speaker who thinks of “speaking loudly” to fill a space. Aiming for volume alone usually alters the tone of your voice, making it harsher. How much more effective to visualize caressing your audience with your voice instead! Newton may have been thinking of the behavior of objects, but that law is also at play when you’re addressing public speaking audiences. And it applies whatever the size of the audience. Like any actor, I’m sensitive to an audience’s reactions to my performance. As a speaker, you should share the same sensitivity. An actively listening audience will be engaged by what you’re saying, perhaps even excited by it. For that to happen, you need to be expending energy. Too many speakers don't generate enough energy for that action-reaction response to occur between them and their audience. The shortage of energy may have to do with body language. But more often, it’s vocal energy that’s lacking. Vocal energy creates an equally energized response from the audience. That is, if you want to energize your audience, start the process yourself through upbeat vocal delivery. An under-energized voice dooms your message to an utter lack of distinction, power, and forward momentum. An energetic voice, on the other hands, can help reverse each of those outcomes. For the essential techniques you need to energize listeners, discover my 5 key tools of vocal dynamics. Now we can leave physics and enter the realm of human intention, motive, and desire. It's here, I believe, where the true power of our voices resides. Your voice has a more meaningful part to play in reaching audiences beyond its role as the producer of sound that carries your words to the human ear. Your voice’s true role is to elicit in listeners the ideas and emotions that you yourself experience. The content of your presentation can’t accomplish that—not by a rather large stretch of the imagination. Your material may consist of data or argumentation, persuasive declarations or supporting evidence, numbers and projections and much else that is informative and fascinating. But none of it can reach people at an emotional level unless they hear your total investment as speaker in what you’re saying. Here's more on how to use emotions effectively in public speaking. You basically have two ways to demonstrate that investment—body language and voice. And voice is the more powerful of the two. Whether you want to inform or inspire listeners, reassure or activate them, excite them or make them laugh, your voice is the tool par excellence which will make that happen. In fact, you can hardly achieve any of those effects without an ability to use your voice well. It’s all part of why ultimately, your performance matters more to speaking successfully than your content. Encompassing listeners, energizing them, and eliciting the emotions you want them to feel. Your voice—just like an actor’s—will help make it all happen. So spend the time you need to use this marvelous, subtle tool to greatest personal advantage.